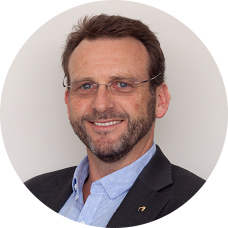 Andy Fenton is a founding Director and Managing Director for New Zealand Micrographic Services and its sister company Desktop Imaging. Andy co-founded New Zealand Micrographic Services in 1990 and it’s sister company Desktop Imaging Ltd in 1997. Andy is an expert in heritage digitisation projects, and has overseen more heritage projects than any other New Zealander. His expertise in the application of digitisation services for the collections of “memory institutions” is highly valued in the GLAM sector both nationally and internationally. Having worked across a number of organisations in New Zealand over the past 25 plus years Andy places great value in being able to represent the views of the wider community, Government, commercial user sectors and iwi. Andy’s extensive networks and contacts nationally and internationally allow him to offer insight into historical and current programmes and projects. Andy was elected to the inaugural National Digital Forum Board in 2006, the ARANZ Council in 2005, Archives NZ Digitisation Standard Advisory Group in 2006 and the Australia/New Zealand Joint Standards Committee (MS/4) for Information and Image Management in 1996. In the past 5 years he has been proactive in the dissemination of information in this area and is a vocal advocate of collaboration and the NDF’s Register of Digital Initiatives. This has been primarily undertaken through digitisation training workshops given throughout New Zealand and in Singapore. Prior to the ALIA Information Online Conference in Sydney last month, a group of our Australian Recollect Administrators met to discuss all things Recollect and hear from some of our customers on how they are using Recollect to allow their communities to access, discover and engage their collections. New Zealand Micrographic Services (NZMS) announces a significant and new partnership with DatacomIT to deliver Recollect, the online community engagement and collection management software to Australia. NZMS are announcing a strategic agreement with Phase One A/S, the world’s leading manufacturer of full frame medium format digital photography systems and imaging solutions. The agreement will offer New Zealand and Pacific clients superior advice, and the supply of unrivalled Cultural Heritage solutions for their in-house digitisation of cultural heritage materials. © 2019 New Zealand Micrographic Services Ltd. All rights reserved.